The world-renowned Lincoln Continental is back for the 2017 model year, replacing the outgoing MKS sedan and adding a bit more gravitas to the luxury lineup. We last saw the Continental 15 years ago, but Lincoln is going back even further to the 1960s for its inspiration for the new model, giving the sedan more of a sense of cosmopolitan luxury. To find out why the 2017 Lincoln Continental in Grapevine is one of the most widely anticipated new sedans this year, keep reading the rest of our review below. Lincoln is decking out its latest incarnation of the Continental with a slew of luxury features and amenities, including making the car's interior as upscale and elegant as possible. This elegance comes from a wood and leather appointed interior trim that comes with leather upholstery, wood and aluminum trim, and a leather-wrapped dash, console and door. The drivers' seat alone on the Continental includes heated, massage and cooling functions, as well as independent thigh extensions. Drivers will also find the usual Black Label interior themes on the 2017 Lincoln Continental near Dallas, as well as three drive modes that let drivers customize their ride experience. On top of that, shoppers will be very pleased to see a large panoramic sunroof. Along with its impressive list of standard and available features, many 2017 Lincoln Continental reviews have praised the sedan for its high-powered twin-turbo 3.0-liter V6 engine. Producing an exceptional 400 horsepower and 400 lb.-ft. of torque, this powertrain offers a tremendous amount of performance. Other 2017 Lincoln Continental reviews have also called out the safety features on the sedan, including such advanced systems as frontal collision warning with pedestrian detection and a 360-degree parking camera. 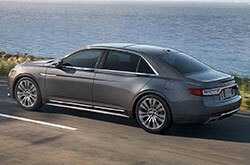 There is even automatous emergency braking, which gives the Continental an almost futuristic component. Visit us today at Grapevine Lincoln to take the all-new 2017 Lincoln Continental for a test drive! What are you waiting for? 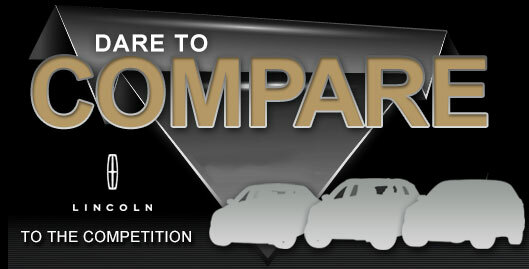 Find your Continental now! If you're shopping for the 2017 Infiniti Q70, Cadillac CTS and the Volvo S90 in the Dallas area, you should also take the 2017 LINCOLN Continental into consideration. Its rakish styling and excellent on-board technologies may transcend your expectations and meet your needs. 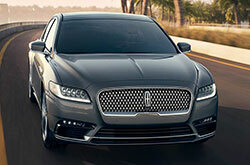 After you are finished our 2017 LINCOLN Continental review and try the comparison tool, view OEM financing incentives offered at Grapevine Lincoln. 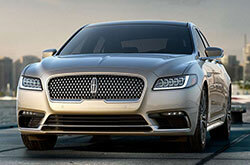 We're a local LINCOLN Continental dealer with cost-effective manufacturer incentives on new and gently used vehicles. We hope our thorough 2017 LINCOLN Continental review helped you find the specifications you need to make a good buying decision. 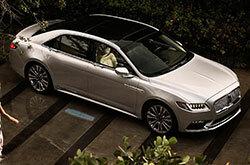 Get prepped to be amazed with the impressive LINCOLN Continental for sale at Grapevine Lincoln in Grapevine, TX. Fill out our contact form to schedule an appointment for a test spin. Can't wait to see its premium interior features firsthand? Watch our video walk-around now!